Bayer's management retains the backing of its supervisory board, its CEO has said, after pressure on the company increased when a second jury in the United States ruled its glyphosate-based Roundup weedkiller caused cancer. Bayer, which denies the allegations, acquired Monsanto, the maker of Roundup, for $63bn (€55.6bn) last year. Its shares have fallen a third over the last 12 months, burdened by thousands of lawsuits over a suspected cancer link to Roundup. 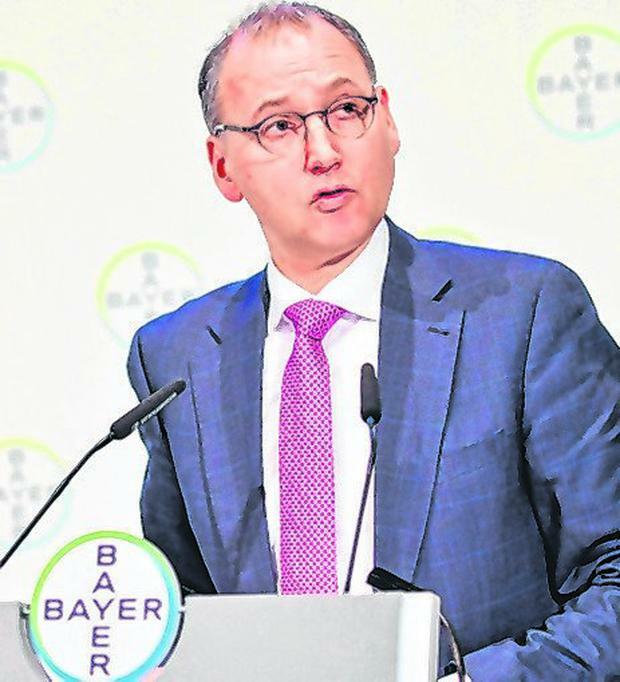 "The share price is significantly impacted by the legal cases related to glyphosate in America, the discounts are greatly exaggerated," Bayer boss Werner Baumann told 'Frankfurter Allgemeine Sonntagszeitung' (FAS). "The management board enjoys the full backing of the supervisory board," said Mr Baumann, who has been Bayer CEO for almost three years. A US jury last week found that Roundup caused cancer, a blow to the company eight months after another jury issued a $289m verdict over similar claims in a different case. Mr Baumann defended Bayer's move to acquire Monsanto, saying it "was and is a good idea". He said the group had a clear strategy based on three divisions - pharmaceuticals, crop science and consumer health. Talk of a break-up of the company has emerged since activist fund Elliott took a stake in the business.